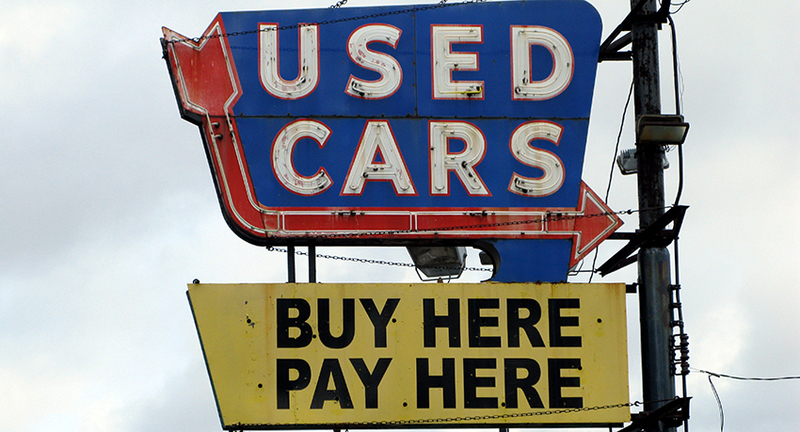 Federal regulators continued their crackdown on not-so-upfront “buy-here, pay-here” auto dealers today, ordering a Colorado-based dealer to pay nearly $1 million in restitution and fines for operating an abusive financing scheme. The Consumer Financial Protection Bureau announced today that Herbies Auto Sales must provide $700,000 in refunds to customers and pay a $100,000 fine to resolve allegations it hid finance charges and deceived consumers purchasing vehicles. Herbies Auto Sales, also known as Y King S Corp., operates as a subprime, buy-here, pay-here dealer, selling cars and originating auto loans. According to the CFPB’s consent order [PDF], from at least 2012 through May 2014, the company advertised misleading low 9.99% annual percentage rates to consumers via showroom window displays and other marketing, without disclosing other fees, including a $1,650 required warranty, a $100 payment for a required GPS payment reminder device, and other credit costs as finance charges. “This ruse helped Herbies convince consumers that they would get the 9.99% APR instead of the much higher rate actually charged,” the CFPB alleges. Under the CFPB’s enforcement action, Herbies must provide $700,000 in restitution for consumers who financed cars with the company after Jan. 1, 2012. The company’s $100,000 civil penalty will be suspended as long as redress is paid. Additionally, the company must revamp its practices to stop deceiving consumers during financing process, stop posting deceptive automobile prices, and start providing certain financing information in advance.